Food boxes will be distributed to those on the Food Bank list in the morning. 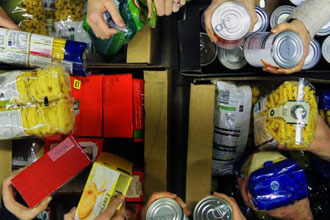 Read more here about Food Bank Fridays and how you can join us in meeting the hunger needs of our neighbourhood. Food boxes will be distributed to those on the Food Bank list in the morning. Read more here about Food Bank Fridays and how you can join us in meeting the hunger needs of our neighbourhood. Sign up to receive The Connect, our weekly email newsletter, to hear what’s happening and how to be involved. We promise we won't spam your inbox!